Revolutionary multipurpose trim that uses just one moulding to create three different moulding applications: reducer strip, carpet reducer, or a T-moulding. Alexandria Moulding Oak Astragal 3/8 In. x 3/4 In. Like a flat astragal, the T-Astragal stops a door from swinging. Attached to one side of a door that is rabbeted to a T-Shape to the approximate thickness of the swinging door. Helps in blocking sound and light transfer from one room to another. Alexandria Moulding Oak Colonial Casing 3/4 In. x 3-1/2 In. x 7 Ft. 2 In. A defining moulding that significantly enhances the character of any room opening. By encasing the area around doors or windows where the frame meets the drywall to hide gaps and breathes life your room. Design a lasting impression by pulling together all the decorative facets of your surroundings by creating a focal point upon entrance into your room. Not limited to its given name the screen mould has a variety of application uses that can transcend the normal and ordinary to jump into the realm of finer detailing. Initially used to cover seams where the screening is secured to the screen frame and to cover shelf edges this profile has since evolved into a decorating opportunity that can significantly enhance a room's character. Alexandria Moulding Oak Stop 3/8 In. x 1-1/4 In. Stops are narrow strips of wood that are nailed to the head and side jambs of doors and windows. Stops constrict the movement of doors and windows. However, the usage opportunities for this moulding are anything but narrow. A broad spectrum of potential treatments for walls, doors, and furniture this moulding is also a favorite amongst hobbyists. 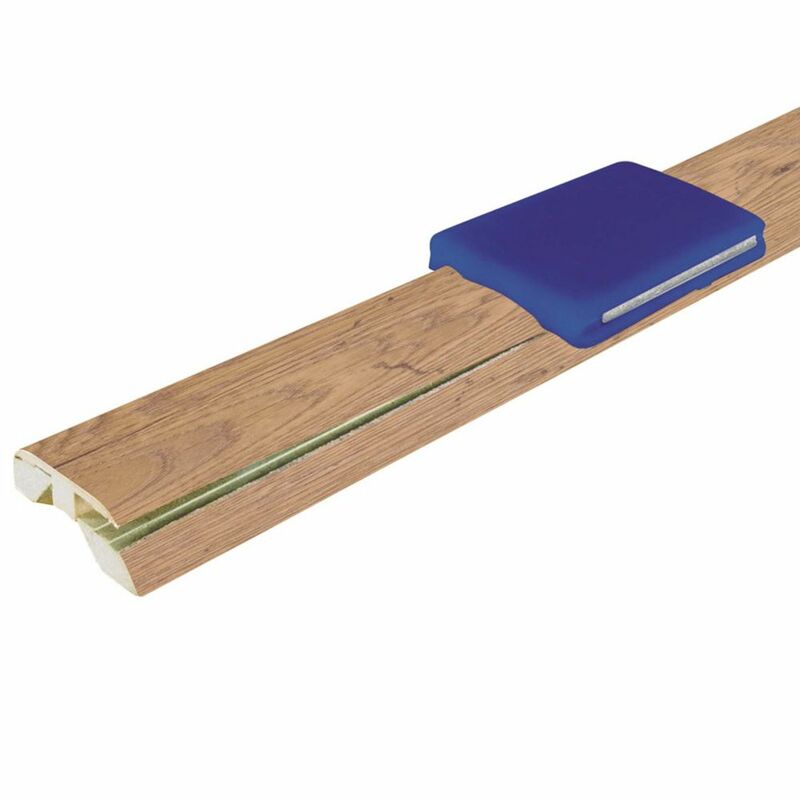 Horsetail Oak 4-in-1 Laminate Moulding (Reducer, T-Moulding, Threshold) Revolutionary multipurpose trim that uses just one moulding to create three different moulding applications: reducer strip, carpet reducer, or a T-moulding.